TALMAR – TALMAR is a nonprofit organization that is dedicated to enhancing and improving health for all people of all ages and abilities using horticulture and agriculture as its therapeutic medium. TALMAR (Therapeutic Alternatives of Maryland) is dedicated to the mission of enhancing health for all people of all ages and abilities. TALMAR offers an innovative therapeutic environment providing work skills development, vocational, educational and recreational programming in horticulture and agriculture. All programs are designed particularly for individuals with physical, mental or developmental challenges that impact their health and well-being. In 1998, TALMAR was founded to provide horticulture and agriculture programs that might be used to transform lives and create meaning for many individuals with emotional, mental, physical, and developmental challenges. 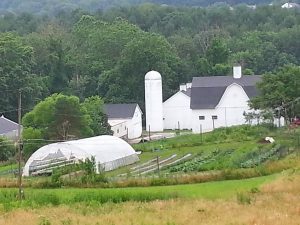 In 2005, Baltimore County Recreation and Parks recognized TALMAR’s contribution to the community by selecting TALMAR to steward 10 acres of land with an existing farm in Cromwell Valley Park, where we are currently located. The farm at TALMAR has become a safe haven, an intimate contact with nature, to deliver services and programs in horticultural therapy, work skills development, vocational training, educational and recreational enrichment programs that are designed to serve those in the disability community. Year-round, our trained horticultural therapists and skilled staff work with groups from educational institutes, schools, agencies, veterans’ communities, senior and adult facilities, as well as individuals from the community. Our programs serve a wide range of participants including the elderly, veterans, at-risk youth, stroke survivors, developmentally disabled individuals, and participants with a variety of health issues including, but limited to, post traumatic stress disorder, depression, mental illness, drug and alcohol recovery, anxiety, autism, asperger’s, physical injuries, etc.